This week I have made some fabric designs (from the last six or seven months) available for sale in my Spoonflower shop, the first is the Dim Sum collection. The blue and orange colourway for Garden of Ghostly Delights, the green colourway was made available when it was in the top ten last year. The light colourway for A Flurry of Mittens and Hats. 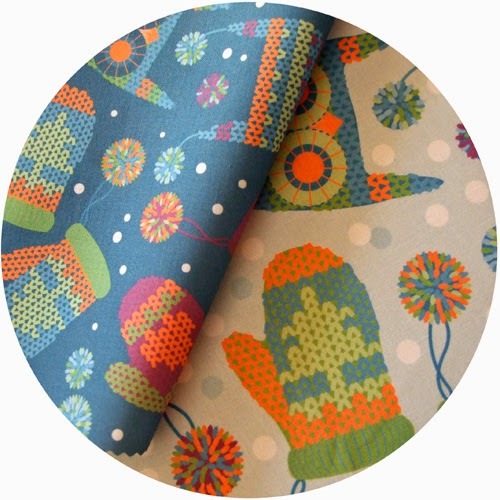 The darker colourway was in the top ten for the gift wrap contest at Spoonflower last year. The light colourway is a little larger than the original darker design.